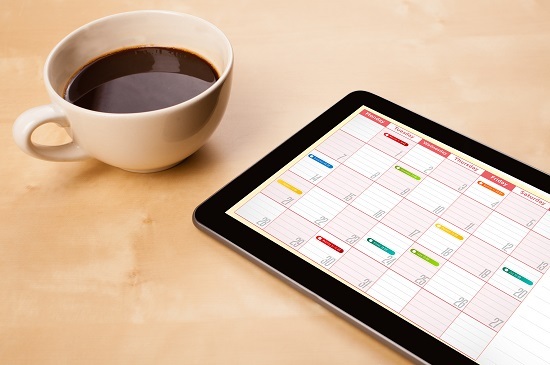 Self Scheduling – What is it and What are the Benefits? Self scheduling is a scheduling methodology that puts the responsibility for the creation of the unit or department schedule on the employees themselves, as opposed to a manager or scheduler making the decision of who works when. Instead of a manager or scheduler making the decision of who works when, available shifts are posted for employees to self-select and swap. The manager then approves the schedule and confirms there are no gaps. An employee may not schedule themselves in violation of labour agreement rules, or into an overtime situation. When you give employees control of their own work schedules, you are giving them ownership of their work, and ownership of their workplace. Self-scheduling makes scheduling processes more transparent and accessible and less arbitrary and unfair. Self-scheduling allows employees to arrange their schedules to accommodate their own needs and preferences. If Lisa enjoys working with Mary but not with John, Lisa can create her schedule to suit this preference. If Mark needs to coordinate his schedule with his wife’s in order to avoid putting their child into day care, he has greater flexibility to do this. He can schedule himself to be off on dates when his wife is working, and to work on dates when his wife is off, thus minimizing childcare expense. If Sharon is taking a university course while working full-time, she can schedule her work shifts around her classes. Ed wishes to spend more time with his wife. He can coordinate his days off with those of his wife. In many cases, giving this control to employees can provide significant recruitment and retention benefits to the organization. Employees who enjoy the ability to choose their own work schedule may be reluctant to move to a work environment where they will lose this control and flexibility. Employees tend to have greater commitment to a schedule that they had a hand in creating. Self-scheduling can reduce voluntary absenteeism and the costs associated with it – overtime, replacement wages and increased use of the staffing office. If John knows that he has an appointment on October 15, he can plan his schedule so that he’s off that day, or works an evening or night shift that won’t conflict with the appointment. Brenda signed up to be a chaperone for her daughter’s school camping trip and needs two days away from the office. She can work longer days before leaving or plan to use her vacation days instead of using “sick” days. Self-scheduling can have an impact on reducing absenteeism due to illness because availabilities can be updated instantly in the system as they come, reducing the probability of scheduling mistakes and employees taking “sick” days instead. With employee input being added to the schedule quickly and electronically, it not only reduces the number of scheduling mistakes but also time that the scheduler spends trying to fix them. In some units, the manager creates a blank schedule template that the employees fill out, and then the manager makes final adjustments and posts the schedule. In a good Workforce Management System like Loki’s StaffRight Omni, all self-scheduling parameters are configured during implementation. Employees self-schedule as StaffRight Omni checks each entry for rule compliance. When self-scheduling is done, the manager approves and posts the schedule, confident that all labour agreements have been followed. Shift trading between employees is a high-volume activity that creates additional work for employees who must search for someone willing to make the trade, for managers who must validate and approve the trade, and for schedulers who update the schedules. If employees are able to create their own work schedule, the need to trade away undesirable shifts is reduced, resulting in greater efficiency and time savings. Managers still have the final approval, but the changes are entered and agreed upon by the employees themselves. Self-scheduling can be combined with other scheduling methods. Some employees may wish to be assigned to rotations while others prefer the flexibility of self-scheduling. You might have different categories of employees – permanent versus casual – with only some eligible for self-scheduling. A solution like StaffRight Omni can provide you with the flexibility for you or your employees to choose whether or not to use it. Self-scheduling software gives you the ability to manage your people better and save your managers time, making it something to consider.